This is really nice piece of HW with nice web tools like: logic analyzer, oscilloscope, signal generator, spectrum analyser etc + SDR TRX or RX ! 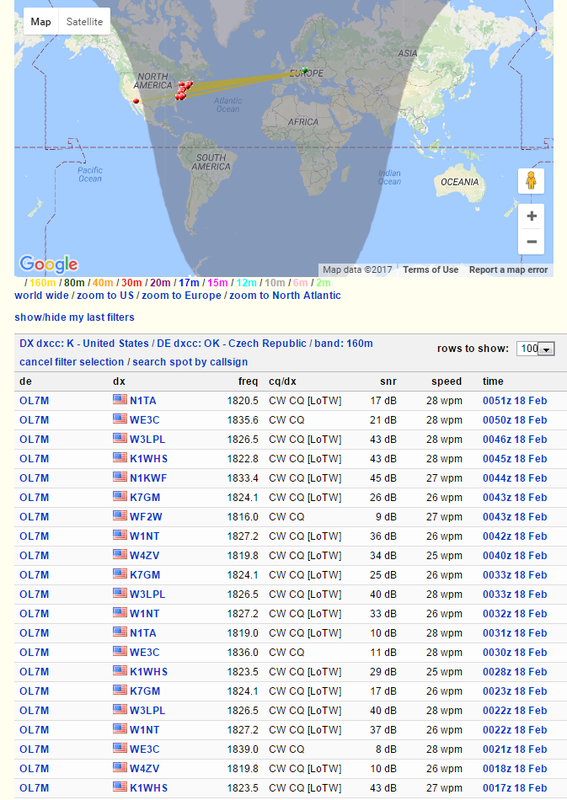 What more, SDR RX allows you to run up to 6 x 192kHz independant RX and it all as CW + RTTY skimmer! 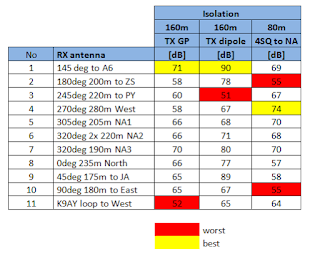 I was very interested in how big or low isolation is between beverages and TX antennas. 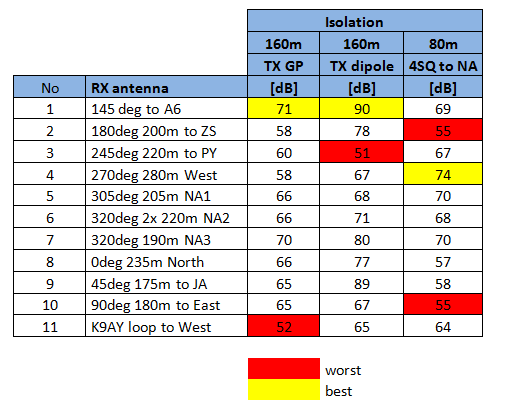 This is quite important for RXing on the second TRX when the RUN one is TXing. 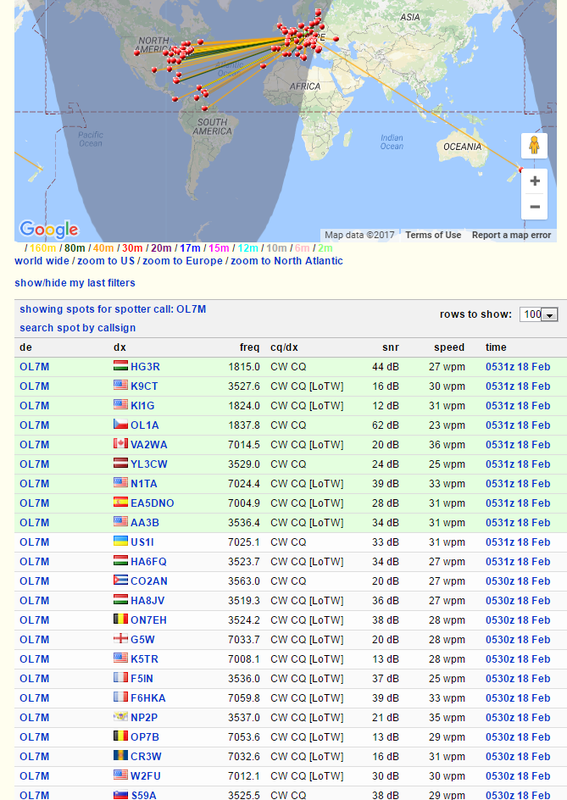 CQ WPX RTTY 2017 - OL9A SOSB80m and NEW WORLD RECORD? 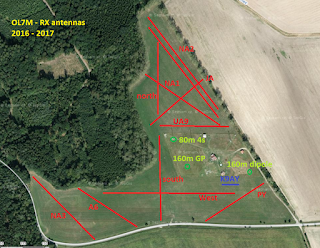 After our last year participation in the M/S category, where we set new EU record as OL7M, I have decided to run SOSB 80m. 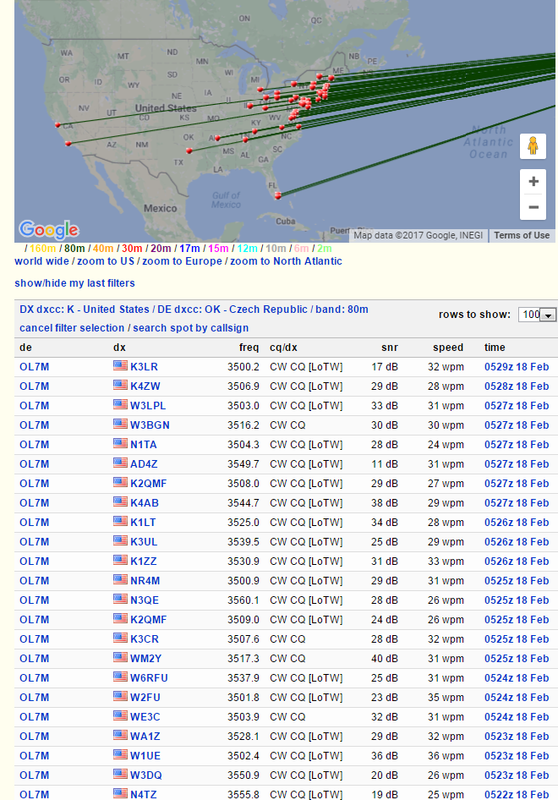 It was third time on 80m in single and my goal was new OK record. Existing great 4th place on world holds Dan OK1DIG as OL6X - 2,34 mil points. 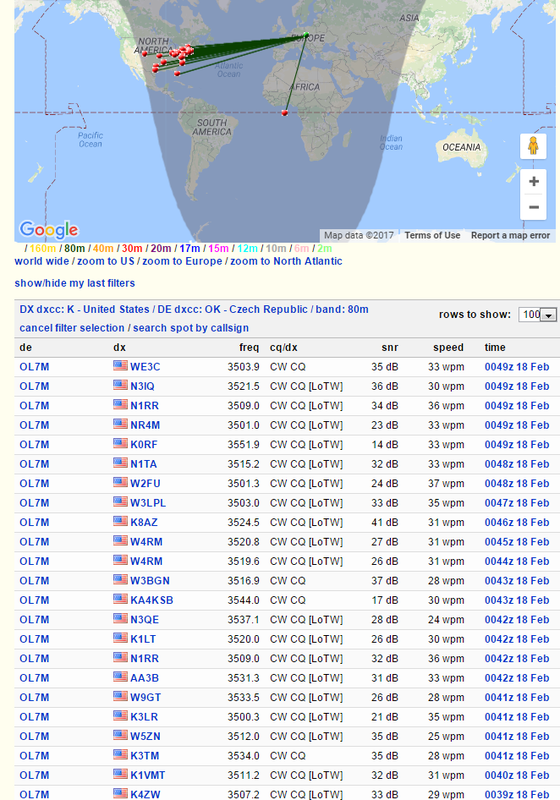 In my last two participations the gol was 1000 QSO. 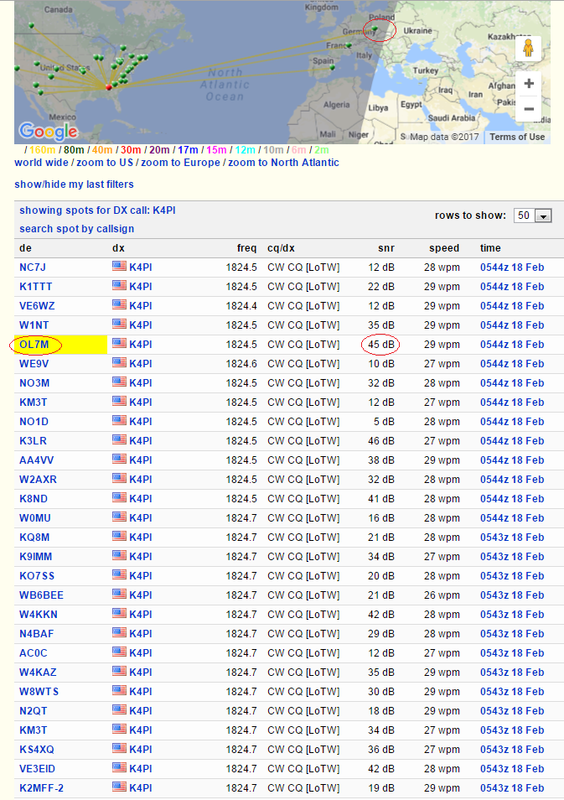 Unfortunately there were not good condx and lower participation too. A few weeks ago I had a call from Jan OK1NP and he told me about his plan to run 80m too. I agreed to be on online score (cqcontest.net). I do have inconsistent view on it. We have got a few negative experiences with that as OL7M... Maybe there is a room for some unfair game by the over-motivated guys :) On the other hand this contest has got good SO category rules - only assisted one! 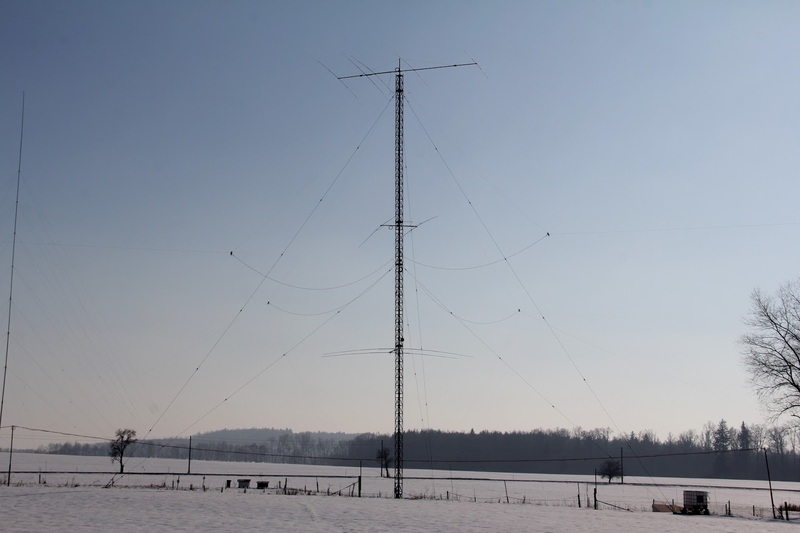 I think that it should be in all the rest CQ WW contests. This could stop maybe 90 percent of all frauds. But back to the contest. I focused mainly on the highest score of WPX mults. 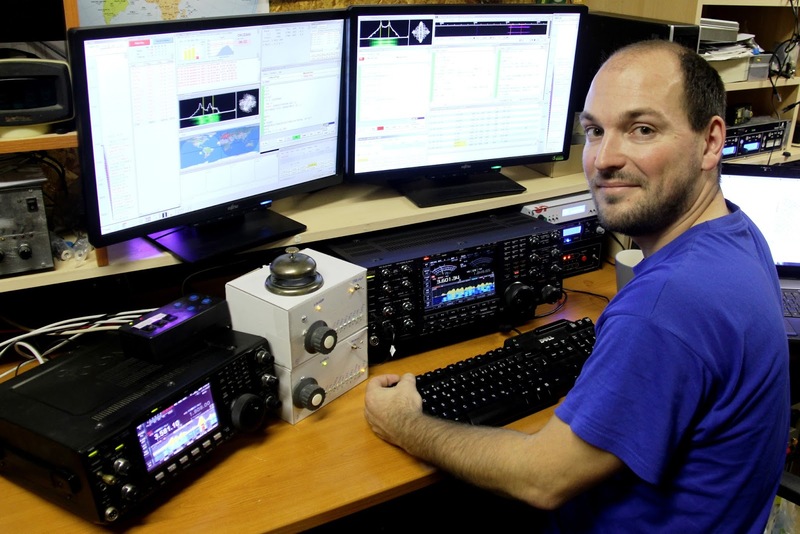 It was also nice to see another guys on the online score as Filippo (IZ1LBG) IQ1RY and Milos S53X. 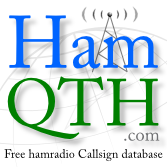 The first hour went well and I did have 94 QSO in log although there were 4 minutes without QSO. 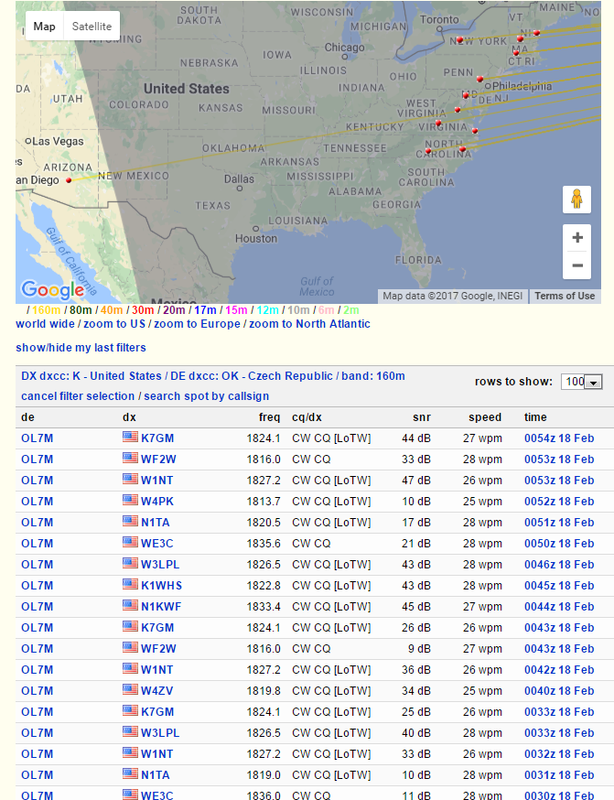 Conditions to NA were realy great and first night brought also some NA DXs as : WK7S from AZ, Jack WA7LNW from UT. 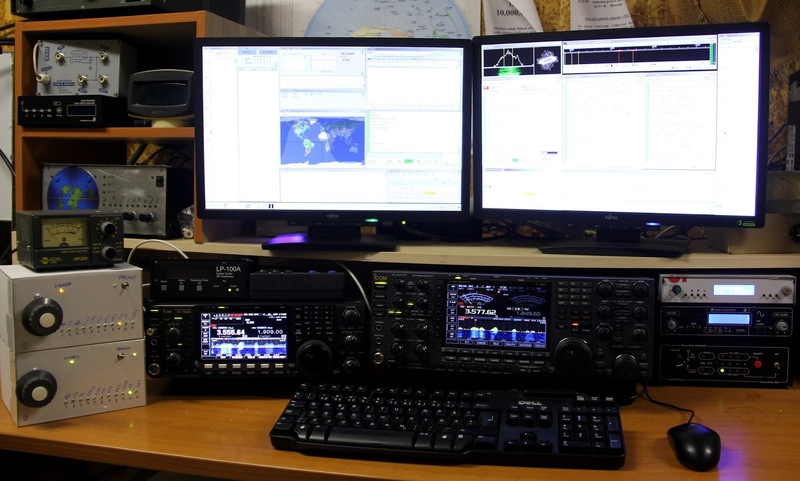 And nice DXs as Hal ZS6WB and Luis XE2B. The second night looked little bit worse but thanks to NA gray line I could work Victor V31VP, PJ6T, Bob C6AKQ, Preston N6SS from AZ and Robert N7WY from WY. Difficul situation is with JA. Thanks to JA band plan... I could copy 3 JAs in 3520 kHz segment but they did not run the split. I stayed above 3600 and worked 3 JAs, but there were one mistake thanks it. The most of RBN skimmers do not work above 3600!? And than my surprise, I could copy some JAs around 3570kHz, is there new RTTY segment in JA? 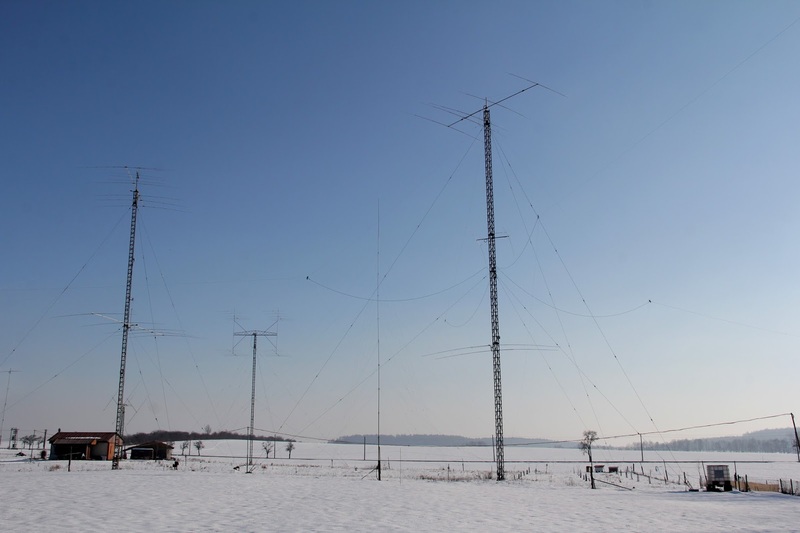 Last part brought some nice east DXs as well: BY3CN, Aravind VU2ABS, YE1K, Francisco YV5LAY, Caros BH4TXN. From JA I worked: Taka JH4UTP, Kishi JA1OVD, Toshi JA0RUG and An JM1NKT, thanks! What was amazing? The score. I still can not understand in this big improvement. 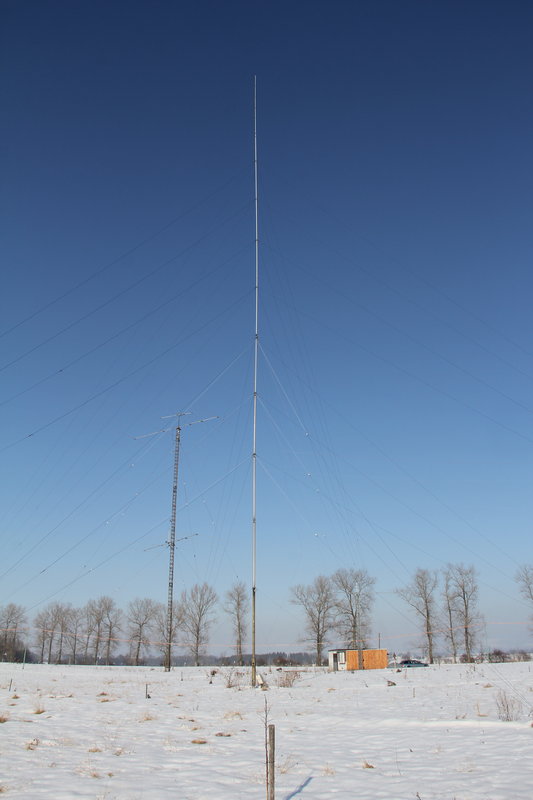 I used the same TX antennas as last years. 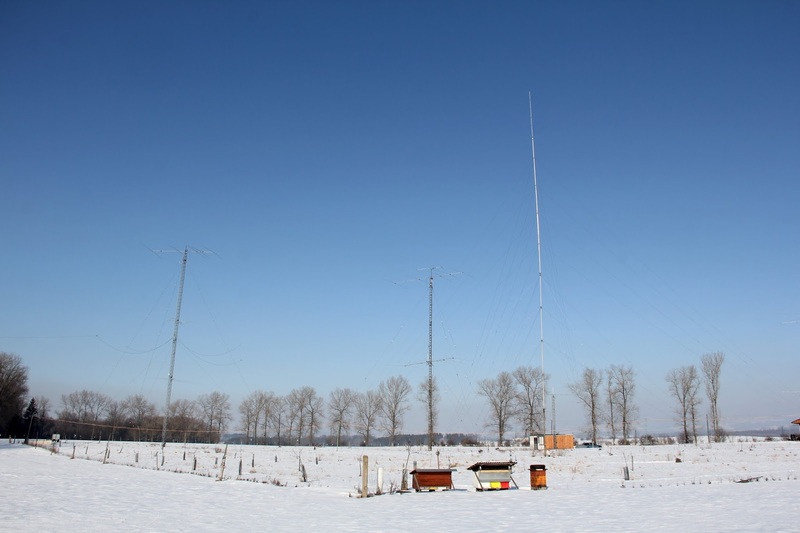 The main new part of setup was second TRX with independant RX antennas. Thanks to new BIG RX ants switch box I could select inependant antennas for both TRX. What more, in some cases, I could lsn on S&P TRX during my own TX. This was perfect! 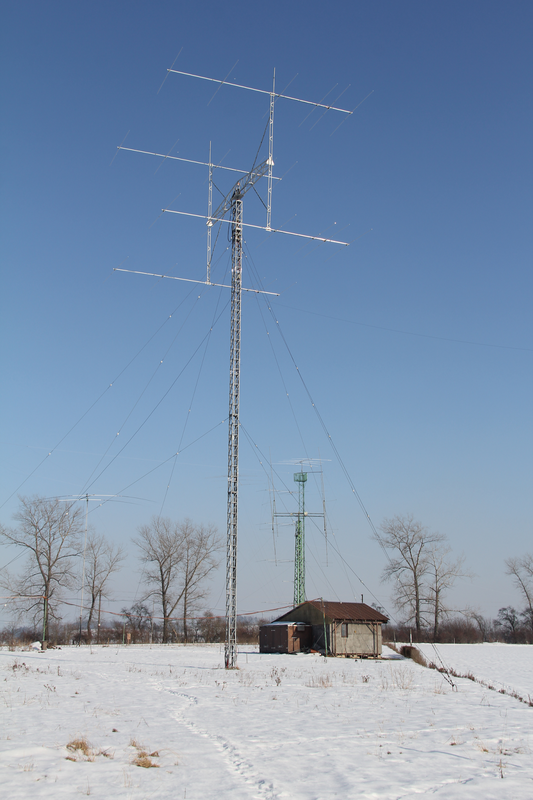 I could called CQ and search for another station on the second TRX. 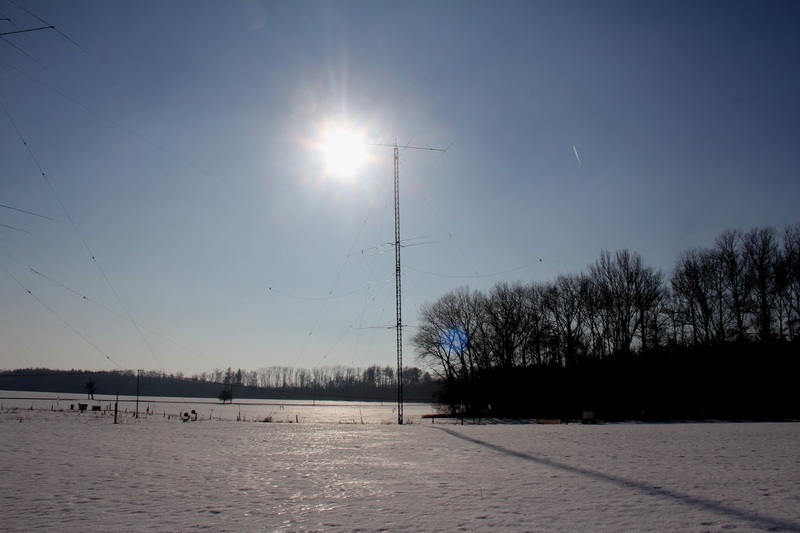 Also when the S&P station answered to my call with last TU, I could call CQ and save some time :) Thanks this contest I do have a lot of new ideas to INBAND antennas. 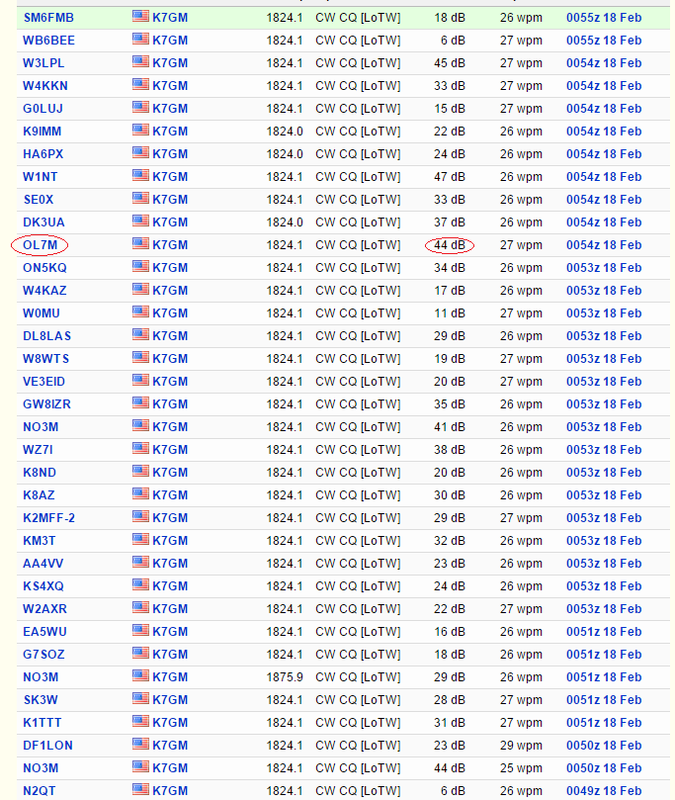 This second TRX made 226 QSOs in S&P mode. 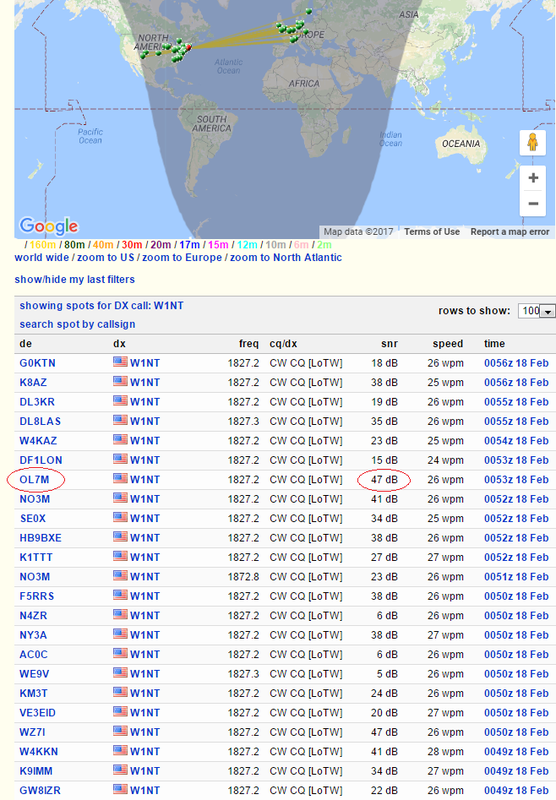 Thanks thet great conditions I worked more DXCC than in CQ WW RTTY - 71 vs 70! 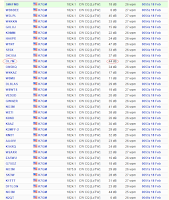 also number of NA stations on RTTY is nice - 226! 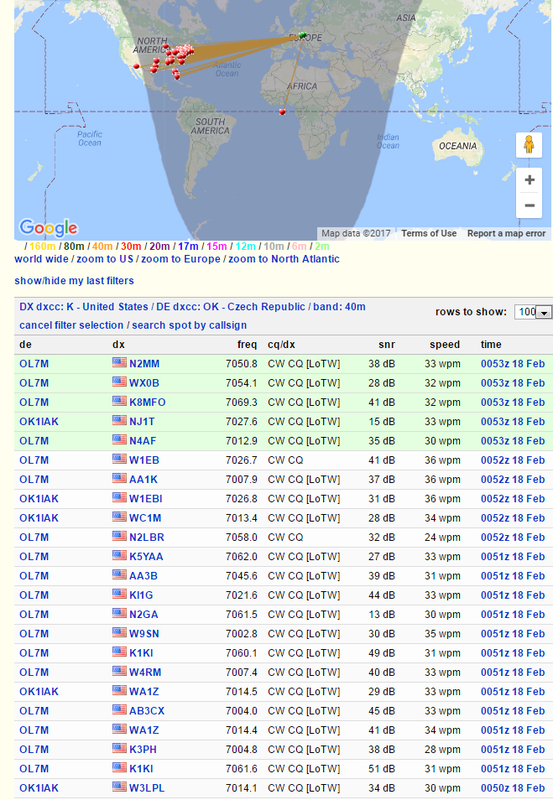 Finaly I would like to thanks all for QSO and to IQ1RY, S53X and OK1NP for nice fight on the online score. 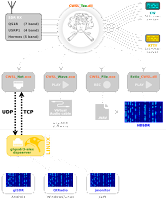 All switched to 2 independant RX with BPF and preamp, controlled over LAN.